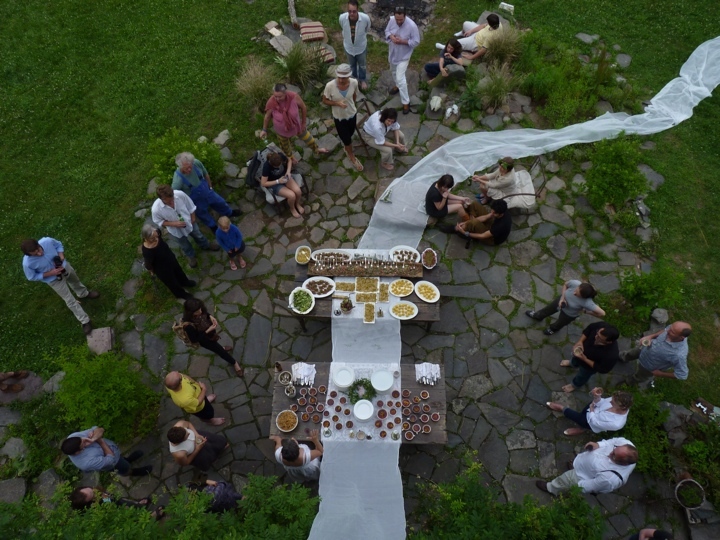 HOST is an experimental art programme of shared meals, discussion and communal activities designed to test out notions of hospitality. The aim is to open up shared spaces where we can think critically and creatively together about the role that hospitality might play in communal life. 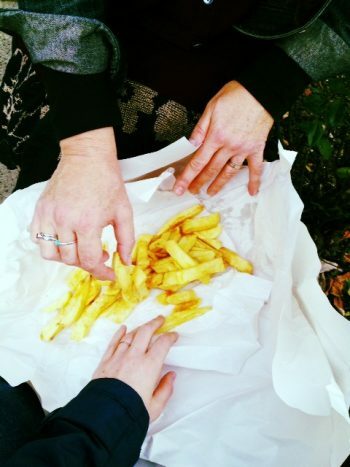 Co-produced and activated by the community at The Holy Biscuit, the project arises from a desire to better understand the gallery’s relationship to the people that use it as well as to reflect on wider social and political issues of the present moment. 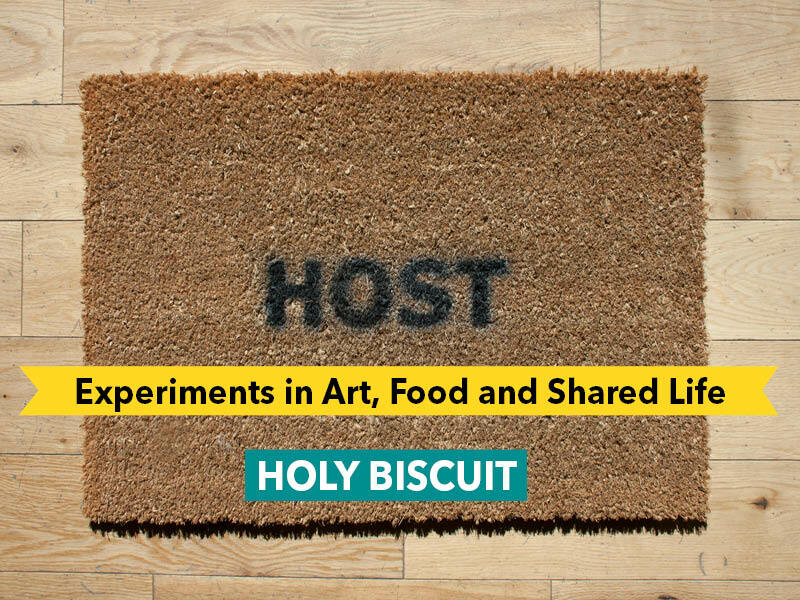 Throughout HOST Holy Biscuit will become a testing ground for acts of hospitality. The Holy Biscuit is a multipurpose venue which programmes exhibitions, workshops, discussion events, film screenings and faith activities. HOST will bring together groups from different elements of this programme to host meals, discussions, screenings and outings and artistic interventions and performances. This will be documented to build a collective knowledge. A growing archive of drawings, photographs, diagrams, testimonies, transcripts and recipes, will be presented in the gallery as a record of our ‘acts of hospitality’ to make the learning visible as the project unfolds. Hospitality involves opening up space to welcome a stranger as a friend. Offering food and drink, shelter, entertainment, or a listening ear are all gestures of hospitality through which common bonds are explored and new experiences become possible. In a society built on depersonalised transactions, where precarious work puts individuals in constant competition, and where successful living is the concern of the self rather than a collective goal, it feels increasingly urgent to revisit communal relationships and restore our understanding of true hospitality. As a Christian based organisation, HOST also raises some important theological questions for us to consider. Is there something distinctive about Christian hospitality? Is there something unique which can be put forward in wider conversations about hospitality, art, food and shared life? Does Christianity offer points of critique for society’s often shallow perceptions of hospitality? What are the problems with Christian theologies of hospitality? The programme takes inspiration from artists that use the domestic sphere as a place to test out alternative ways of living. Mildred’s Lane in rural Pennsylvania, for example, is a working-living- researching environment that encourages engagement in all aspects of life, which has operated from the home of artists J. Morgan Puett and Mark Dion since 1998. Similarly, the home of American artist Frtiz Heag, a geodesic dome on Sundown Drive, LA, became the focus for his practice between 2001 – 2006, hosting Sundown Salon, a gathering space for meetings, happenings, spectacles and pageantry. 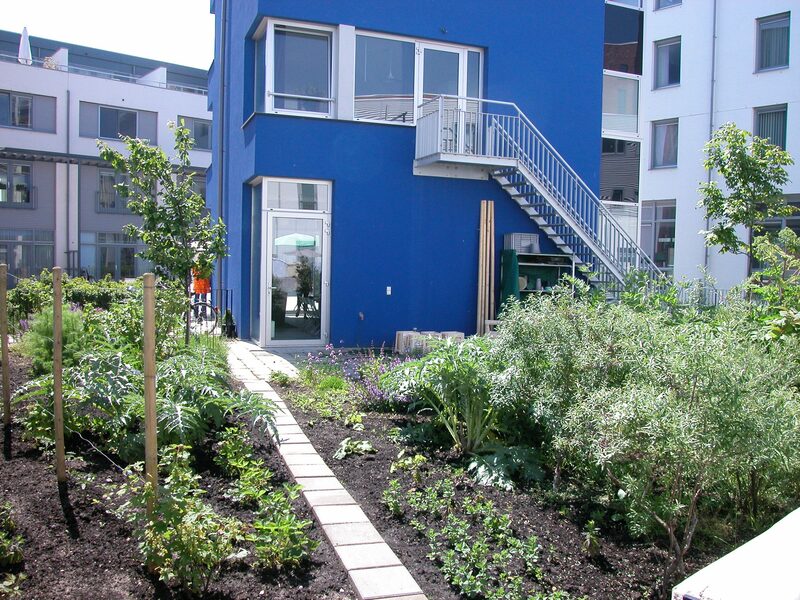 By contrast Jeanne Van Heswijk’s initiative, Het Blauwe Huis (The Blue House) was situated in the context of an extensive and highly regulated urban renewal project in IJberg, 2005-2009. Van Heswijk arranged for a house to be taken off the private housing market to be redesignated as a space for culture, research, exchange and dialogue. Blending art and life, these experiments in living often draw on vernacular forms of creativity: cooking, eating, cleaning, conversation, reading, gardening, napping, crafting. During HOST we look forward to sharing in some of the everyday activities with our guests as we embark on our own experiments in hospitality. As we grow and evolve as an organisation, we have been wrestling what it might mean to be both a gallery commissioning and exhibiting art and a community which seeks to share life with those who we work with. As we set out in our recent publication Now and Not Yet we asked what it might be like if we focused our work around hospitality. As we set out: “Our activity is rooted in a desire to show hospitality and to open up ourselves to live life alongside others, giving time and space to listen and to engage with each other’s stories.” We have been exploring these questions within the context of the often complex world of community art and activism as well as within a theological and faith context. Acknowledging the tensions and contradictions we are delving into how we might collaborate with the different communities who use HB and those living within and around Shieldfield and the East End of Newcastle. We are keen to build up a sense of community, belonging and ownership around the space – perhaps blurring the lines between host and guest and creating a dialogue of how we might live life alongside one another. It’s a risky process and we are keenly aware of our weaknesses and limitations. JOIN US and be part of our journey through this project! Throughout HOST the gallery will be open to the public Thursday, Friday and Saturday, each week and for an unfolding programme of special events. HOST is co-produced by David Lisser, Dinner _arty, DocYOUmentary, Hannah Marsden, HMO, Lloyd & Wilson, Mixing Bowl, Painting for Fun, Shieldfield Forum Cafe, The Holy Biscuit staff team, and Winter Chapel Film Nights.